News - knittingcrochetingministrys jimdo page! A Knitting and Crocheting Ministry at Seton Parish has been started in Pickerington. They meet the second and fourth Thursday of every month from 1:30 pm to 3:30 pm in the library of church. 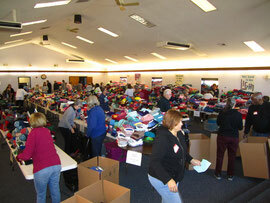 All items made are given to our ministry for distribution. A Knitting and Crocheting Ministry has been established at St. Pius in Reynoldsburg. Please check their website (link on our Home page) for details. The 2015 Knitting / Crocheting Sorting and Distribution Event will be held again at Mifflin Presbyterian Church in Gahanna who allows us the use their Community Room. 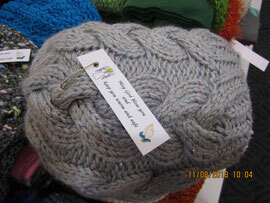 Hats and scarves are boxed and ready to go out into the community for distribution. Prayers are pinned on each article before distribution in the community.